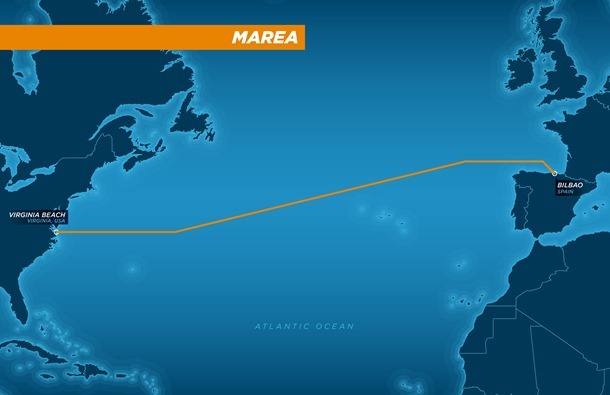 Here is some news you don’t read every day: Microsoft and Facebook today announced that they are teaming up to build a subsea cable across the Atlantic that will connect Virginia Beach, Virginia, with Bilbao, Spain. The companies say the so-called MAREA cable will allow them to “meet the growing customer demand for high speed, reliable connections for cloud and online services for Microsoft, Facebook and their customers.” Construction is scheduled to start in August and the companies expect the process to be complete in October 2017. What’s also different here is that Facebook and Microsoft are leading this effort (together with Telefonica and its Telxius subsidiary, which will operate the cable). Typically, companies like Microsoft and Facebook have joined larger consortiums of technology companies and telecom players to build — or invest in — these cables. Now, however, the two decided to build their own infrastructure instead (and they are using some of the open hardware approach that Facebook has become known for) and plan on selling excess capacity to third parties. The companies did not share any information about what these efforts will cost.